With cannabis extracts growing so much in popularity, Zamnesia is here to present you with an in-depth look at what CO₂ extraction is, its medical implications, and how you can make your own CO₂ extracts safely at home! Cannabis extractions are becoming exponentially popular, and there is a good reason for that. High-quality extracts are usually much less harmful to consume than smoking buds from a joint or bong. Extractions are highly concentrated with cannabinoids, permitting for very potent dosing if required. Extracts can be consumed in virtually any way - made into edibles, e-liquids for vape pens, wax/dab-based vapes and rigs, or even rolled up into a traditional joint. The main advantage of oil extractions is that there is little to no plant matter to burn through. In fact, when you smoke an extraction, you are not inhaling burnt material. Instead, the semi-solid viscous goo sublimates into gas form instantly, without the formation of secondary toxic carbonic free radicals. Essentially, it makes for a more powerful and “healthy” consumption experience. But beware! Not all oil extractions are created equal. To extract as many cannabinoids as possible, you usually need a solvent. There are dozens of them; some polar, others nonpolar, some using highly combustible petroleum derivatives, others using environmentally friendly inert gases. Such is the case with carbon dioxide (CO₂) extraction; it is the most proficient form of this art. And you can also do it at home safely, as explained below. Before exploring CO₂ extractions in greater depth, let’s examine butane hash oil extractions, also known as BHO. It is quite simple to set up at home. The materials are cheap and readily available. The problem is, it is a highly flammable and dangerous substance to handle. As you compress the extraction chamber, butane can become an exceptionally volatile explosive. Not only that, after the extraction process, you need to purge the remaining butane from the mix, something that the vast majority of DIY home extractors skip. You are quite literally smoking pure petroleum-based butane particles along with cannabinoids. To completely purge this toxic offender, you need a proper laboratory-grade degasification vacuum chamber. This ramps up the setup cost significantly and is often overlooked, due to either ignorance or greed. To add insult to injury, to legally make BHO, you need to follow specialised protocol for using and disposing of extremely hazardous materials. Most jurisdictions sustain quite strict laws about requirements to operate. For instance, specialised, filtered HEPA air extraction, all-around anti-static and non-flammable materials, special storage handling, and a whole lot of other hurdles must be addressed. CO₂ extraction setups may seem more expensive to start, costing you several hundreds to several thousands of dollars. In reality, it is more expensive to do BHO extraction right. CO₂ will be cheaper to operate in the long-run and is very environmentally friendly, non-flammable, and non-toxic (if air content stays under 4000ppm), leaving no residue behind. CO₂ can also be recycled and re-used. It does require a highly skilled operator to run the system if you are planning to do supercritical extractions, to actually dial-in specific conditions to harness terpenes, for example, or for the preemptive removal of THC before CBD. Otherwise, subcritical units are simple to operate and much cheaper. As you can deduce, CO₂ is the all-around champion of the purest, high-quality cannabis oil known to man. Most gases can exist in liquid form and vice versa. All you really need to do is control their pressure and/or temperature. You see this every day in your kitchen. For example: As you boil water at sea-level atmospheric pressure (roughly 14.7psi), you need to reach 100ºC for it to transform from liquid into gas. If you climb Mount Everest at 8850m high, the atmospheric pressure decreases to around 4.89psi, so you will only need 69ºC to boil your water. This process is called evaporation. When you invert the conditions, the gas condenses and transforms back into liquid form. Much in the same way, as you pressurise carbon dioxide into a canister, it will eventually turn into a liquid. As it leaves the canister, the CO₂ pressure drops so quickly, it immediately turns back into its gaseous form. In this example, we only consider manipulating the pressure while remaining at room temperature. In thermodynamics, these turning points are called “critical points” or “critical states”, when equilibrium is broken and the physical properties of the molecules change. But science has discovered a very intriguing phenomenon, where if you manipulate both temperature and pressure beyond their critical points, some gases will behave in a very strange way. They will act both as a liquid and a gas at the same time, making for very interesting applications. Supercritical liquids have very low surface tension values and diffuse through solids like a gas. At the same time, they can dissolve compounds as efficiently as a liquid. Almost sounds like science fiction! Carbon dioxide’s critical point is roughly 31ºC at 1083psi. If the temperature drops, it reverts back to subcritical liquid form. Inversely, maintaining temperature and decreasing pressure will do the same. At 31ºC and 600psi, the liquid subcritical CO₂ will return to a gas state, separating from oil freely and without residue. Under supercritical conditions, you can manipulate the temperature and pressure to specific levels, so the CO₂ behaves in a slightly different kinetic manner. This will, in turn, interact with weed in an equally different manner. The art of high-grade supercritical extraction is the art of fine-tuning the system to harness exactly the cannabinoids and terpenes you want, in the quantities you need. Both subcritical and supercritical extractions work in essentially the same manner. The only real difference is the complexity of the equipment used. A good supercritical extraction unit is also able to do subcritical, but a subcritical production unit is not able to reach supercritical conditions. Subcritical units are not worse because of that, they are simply different. If you are planning to set up a commercial-grade operation, producing multiple cannabis-based products like edibles, drinks, fragrances, CBD oils, high-THC oils, e-liquid flavours of multiple tastes and smells, sublingual tinctures, topical creams, and more - then you will need a high-grade supercritical unit and a dedicated operator. Subcritical units are quite easy to learn to operate. You are not really able to cherry-pick specific terpenes, but you will have the purest and strongest end-product possible. This cherry-picking is technically called “fractionating”. Smoking a spliff, ripping a bong hit, or blazing a blunt used to be the go-to methods for the ordinary decent stoner. The process may vary slightly depending on variables like volume and manufacturer, but most supercritical CO₂ extractions will share all the basic steps. They are theoretical closed-loop systems. It starts by preparing your dried and cured top-shelf cannabis. There is a specific chamber where to place it and keep it sealed. This is called the “extraction vessel”. You will have a CO₂ reservoir/canister that opens and lets the gas flow into a pressure pump. The pressure pump then directs the CO₂ into a heating chamber to go beyond the liquid form into a supercritical state. This is often referred to as the “accumulator”. The supercritical CO₂ passes through the extractor vessel and right through the weed, extracting all the good stuff into an oil, leaving the plant matter behind. This mix then moves on to the next chamber, called the “separator”. Here, the pressure is lowered so the CO₂ reverts back to its previous liquid state and right after, back to gas form. This means the gas will leave the oil completely and effortlessly. The CO₂ is recaptured for future use, and the oil collected for further processing and purification. For instance, say you set the unit’s conditions to fractionate the oil to collect only THCA and wax. From here, you could do a “winterisation” on this wax by adding pure alcohol and dropping to sub-zero temperatures. This will force the fats and waxes to separate from the essential oils containing THCA, which is then filtered out. What remains is ethanol-charged essential THCA oil, which is then placed in a rotary distiller to remove the alcohol completely. The remaining is nothing short of pure-grade THCA oil. Zamnesia carries a number of CBD oils and products that are manufactured with the help of the CO₂ extraction process. Trusted and established producers use both subcritical and supercritical extraction methods to produce a wide selection of CBD products, such as capsules, creams, crystals, and - of course - oils. For example, Endoca's Cannabis Chrystals, with an amazing 99% CBD content, are attained via supercritical CO₂ extraction. This is also the case for all Cibdol products as well as Raw Oils by Dutch producer Medihemp. Other Endoca Oils are made with the help of a subcritical CO₂ extraction method, as are the non-raw Medihemp oils. Once again, this does not mean that these products are of a lesser quality, only that a different method was used during production for one reason or the other. For example, in cases where the manufacturer wishes to produce smaller batches at a time, the subcritical process could be a means to that end. We will show you a quick method for performing CO₂ extraction at home. Homemade CO₂ kief extraction with dry ice (explained below) is technically a DIY subcritical extraction method that renders the same high-quality extract, except the process is less efficient. You start by placing the bubble bag with the finest mesh size into the bucket. Place the weed into the bags and just drop the dry ice in (with gloves)! Start shaking and shaking; very quickly, the weed will freeze over and the trichomes will start being released and dropped from the flowers and trim. After about 3 or 4 minutes, remove the bag and collect the kief from the bucket. This will be the best-quality kief you can get. Store in a Mason jar or similar container. Proceed to repeat the process (using the same weed) but with the other, larger-mesh bags. The result is a high-yielding trichome extraction of different grades. If you are currently medicating with cannabis products, you should consider CO₂ extracts. They will inherently be cleaner and easier to dose with finesse than other methods. 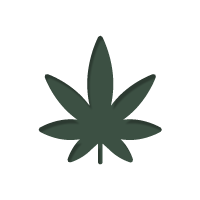 The limiting factor of a good CO₂ extraction is the raw cannabis used. If the harvested plant is truly organic, without pesticides, the CO₂ oils is pragmatically pure. Since CO₂ oil sublimates without combustion, there are none of the typical smoking risks associated with combusting plant material. The high levels of CO₂ also have a cool side effect on weed. It destroys all sorts of mould, microbes, bacteria, mildew, insects, and mites. Moreover, CO₂ supercritical oils are able to be fine-tuned for maximum efficacy. The only thing lacking are studies to zoom into specific pathologies and possible cannabinoid-based remedies. Hopefully, with mounting research and predictability of methodology, the process of CO₂ extractions will only improve. Hospitals and research centers all over the world are now able to take this statistical significance to a whole new level of complexity. CO₂ extracts will, without a doubt, contribute significantly to the advancement of medicine. Already, CBD oils are beginning to usher in a new era of cannabis innovation.